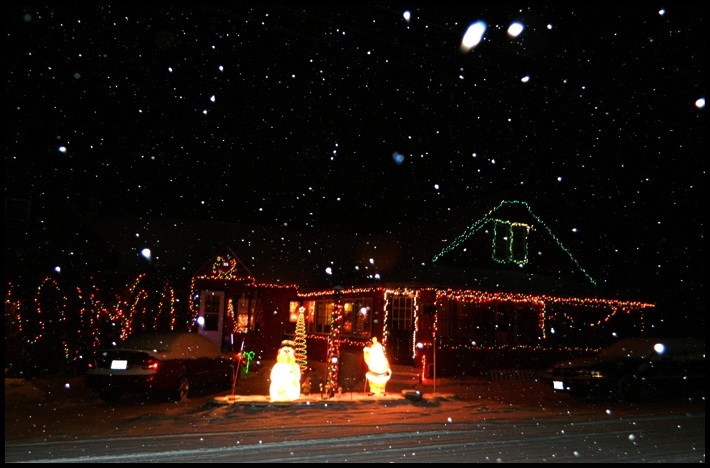 This past December my wife Jennifer and I set out to “find Christmas”. No, this isn’t going to be some religious, “I want world peace” type article (I mean, who doesn’t, right – lol)? No, this is about FINDING CHRISTMAS IN NEW ENGLAND. That special area that oozes the essence of all things “Christmasy”. 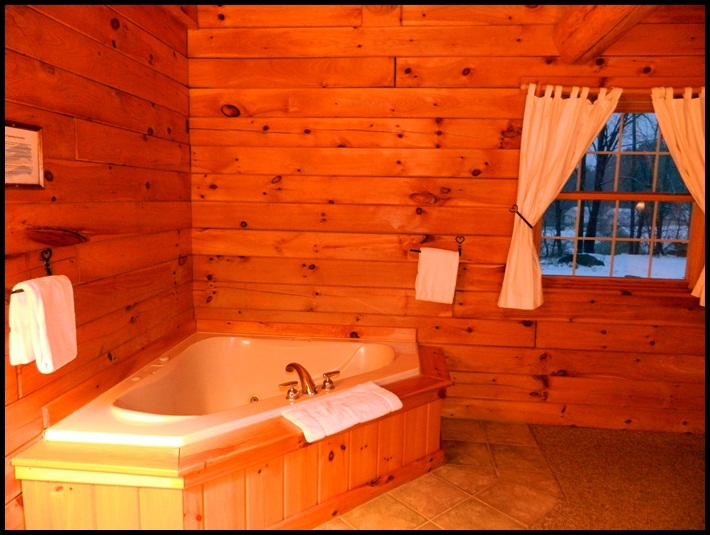 What better place than North Conway, New Hampshire and the New England Inn & Lodge? As soon as we arrived New Hampshire’s White Mountains region and crossed into North Conway, we knew we found what we were looking for! 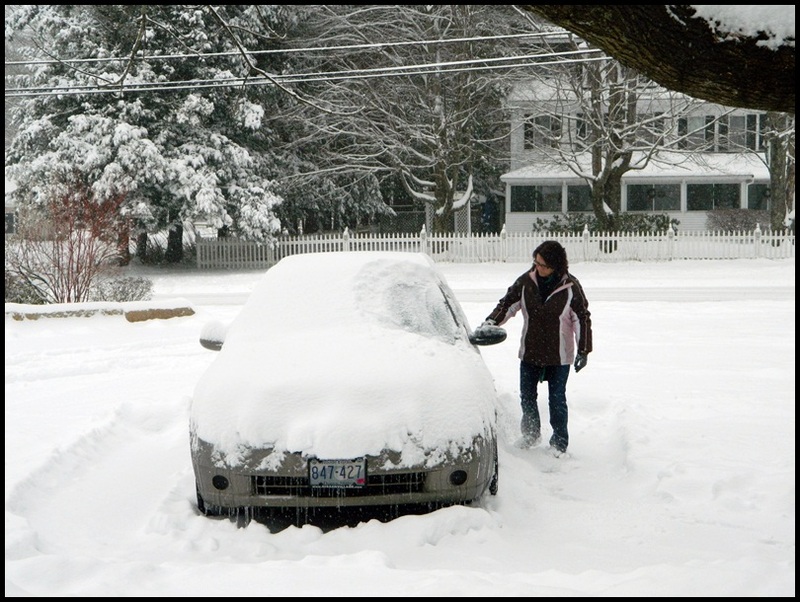 Not only was there snow ON the ground, there was a snowstorm predicted for that weekend. 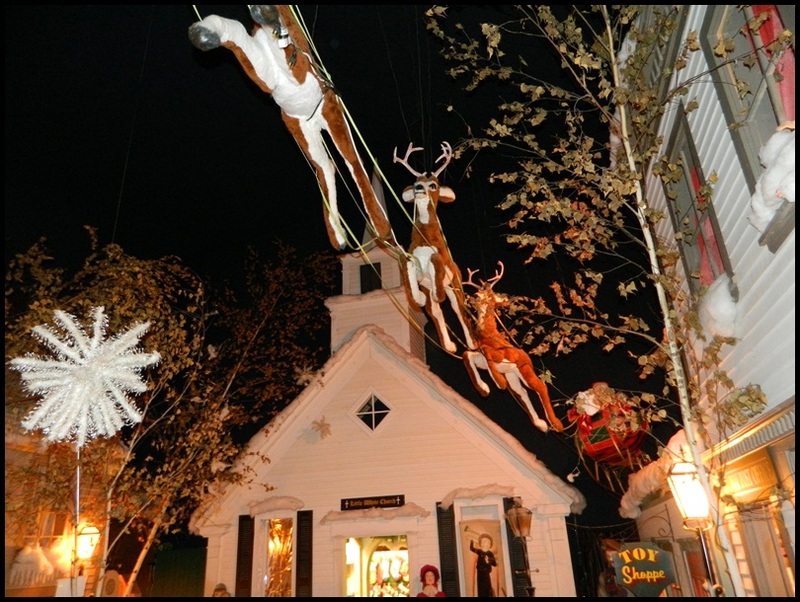 The town’s holiday decorations were super cheerful and the holiday spirit could be felt – EVERYWHERE! Twinkling lights! Hustle & bustle! Christmas carols! The crunch of snow under my feet! The smell of wood burning fireplaces! 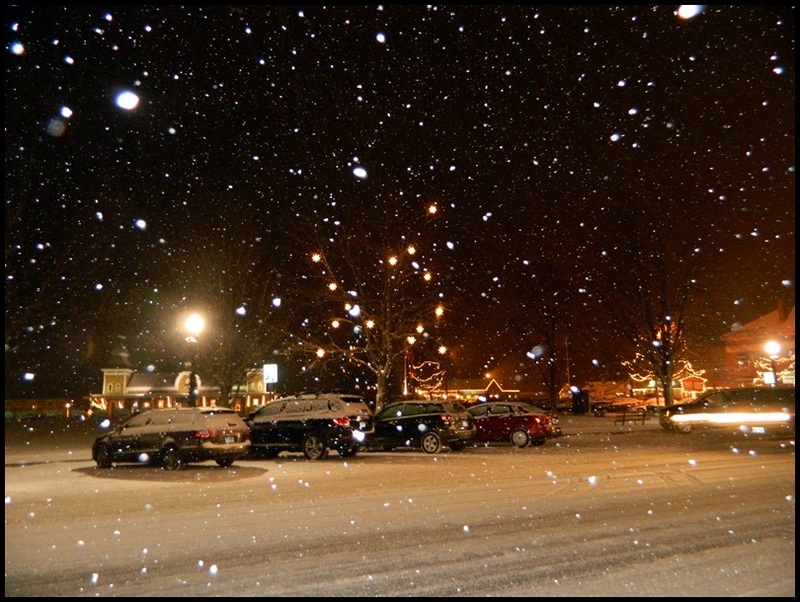 I love snow, but never more so than the month of December, leading up to Christmas. 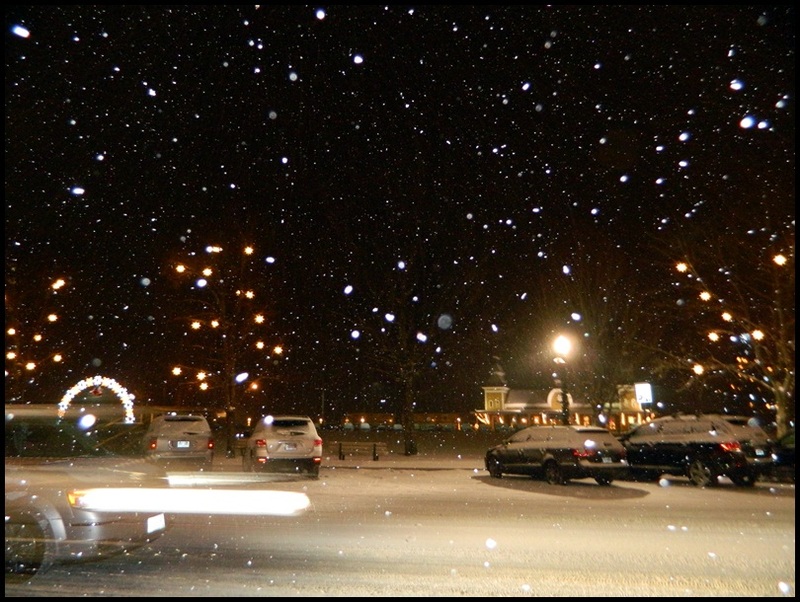 To me, there is nothing more magical than a white Christmas. 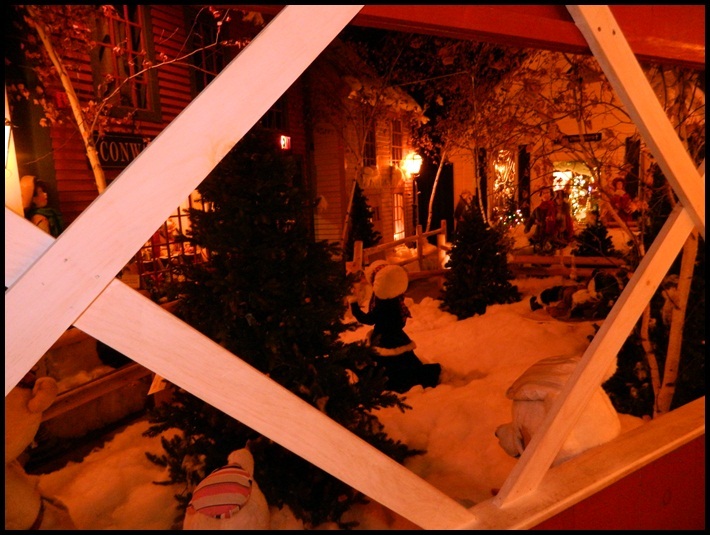 The town of North Conway looked and felt like a Christmas village. There is so much to do! You have Settler’s Green Outlet Center which offers everything from J.Crew & Banana Republic to the Gap and Eddie Bauer. 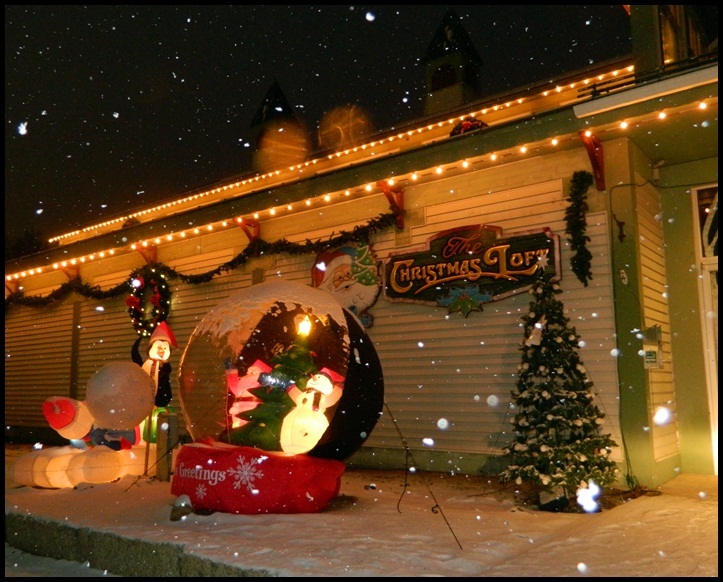 Across the street you will find the LL Bean factory and the very atmospheric – Christmas Loft. A little bit further down White Mountain Hwy, in the heart of the village, you will find North Conway’s Scenic Railroad, offering old-fashioned train rides from 1-5 1/2 hours, all departing from the 1875 Victorian station. Excursions are offered mid-April through December. Another must visit is the charming Zeb’s General Store. 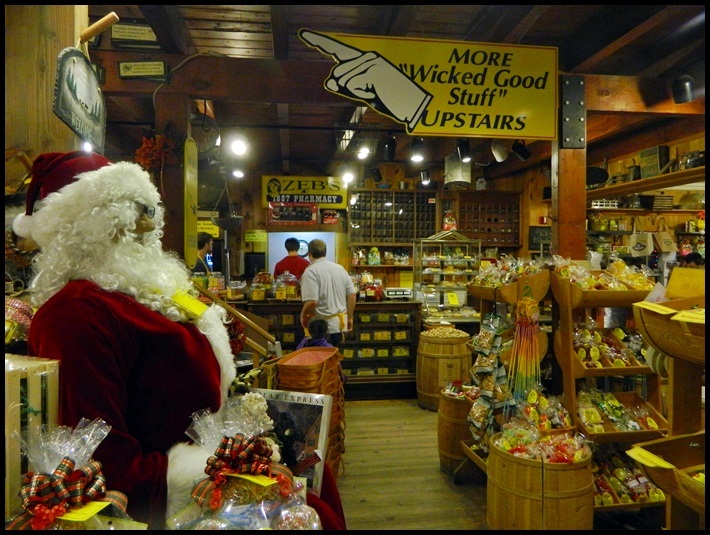 Zeb’s offers New England made products in a an old time general store atmosphere unlike any other general store in the country. They have over 5,000 items in inventory, which includes the largest selection of New England specialty foods in the world. 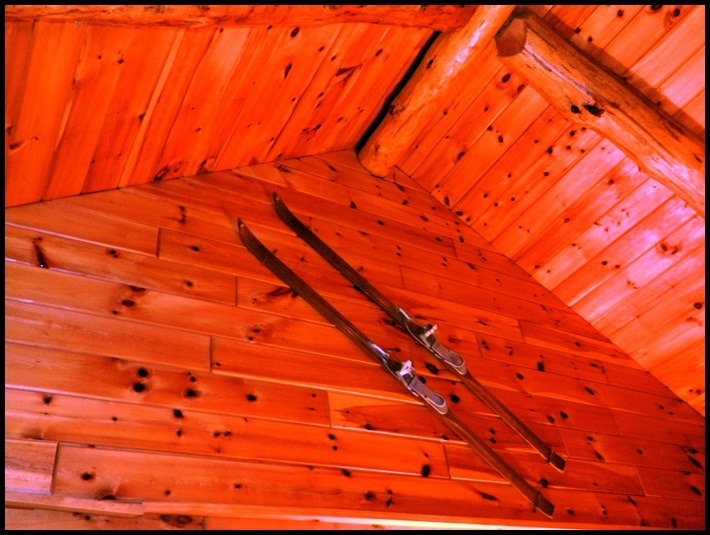 You are also within driving distance to popular ski resorts such as Cannon Mountain, Bretton Woods Ski Resort and Attitash Mountain. 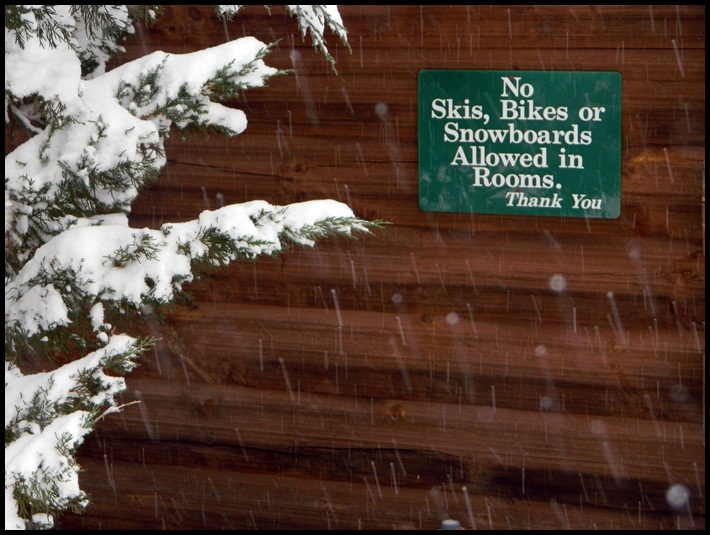 You can take part in pretty much every winter sport possible including cross-country skiing, snowshoeing, snowmobiling, ice climbing and ice skating. 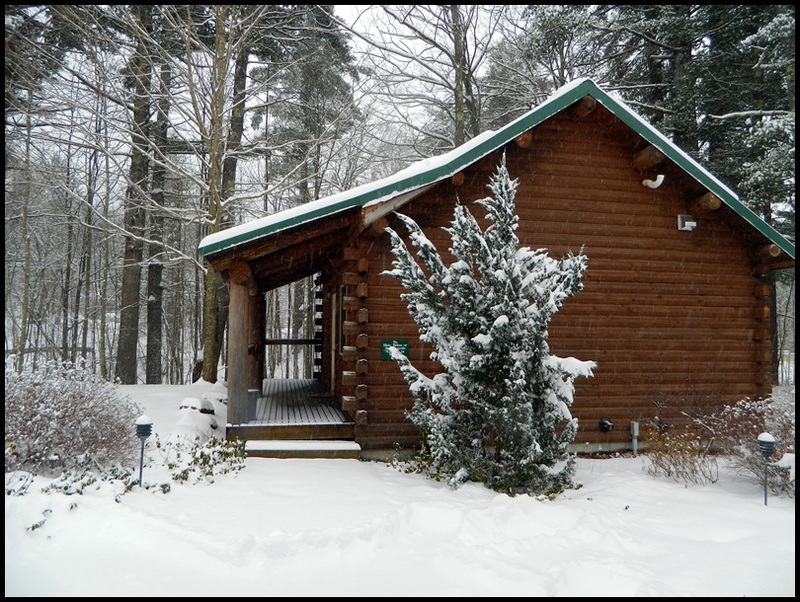 For a complete list of winter activities in the White Mountains Region click HERE. 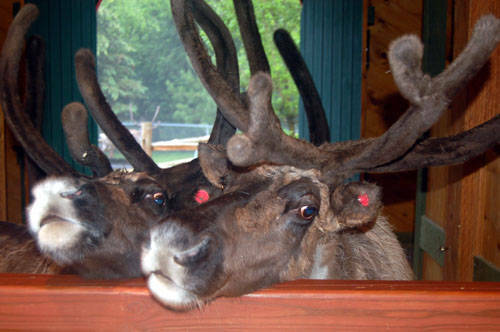 Oh, and let’s not forget Santa’s Village for the kids (and kid in us)! 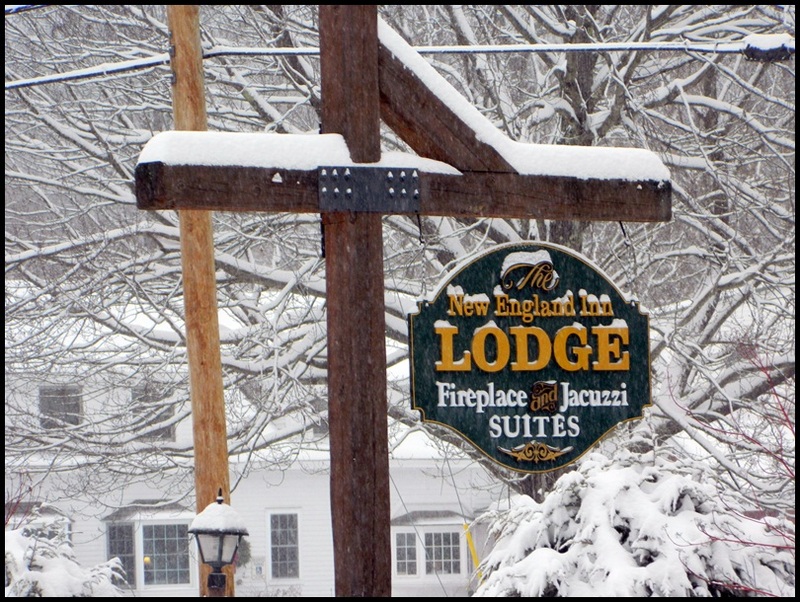 Enjoying all the area had to offer was a bonus to our incredible stay at the warm & inviting, not to mention extremely gay friendly, New England Inn & Lodge! So much comes to mind as I sit here and begin the process of trying to convey to you the magic of this beautiful property. 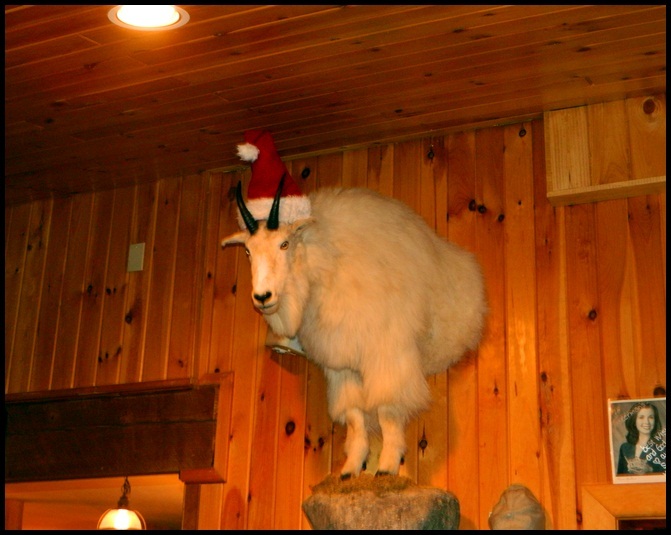 The first thing is – GARY, New England Inn’s front desk manager. Let it be known that Jennifer and I have fallen head over heels for this man. There is just SOMETHING ABOUT GARY! 😉 He treated us as if we have known each other for ever and made us feel beyond welcome. You could tell how much pride he has in the inn as he filled Jen and I in on the rich history. 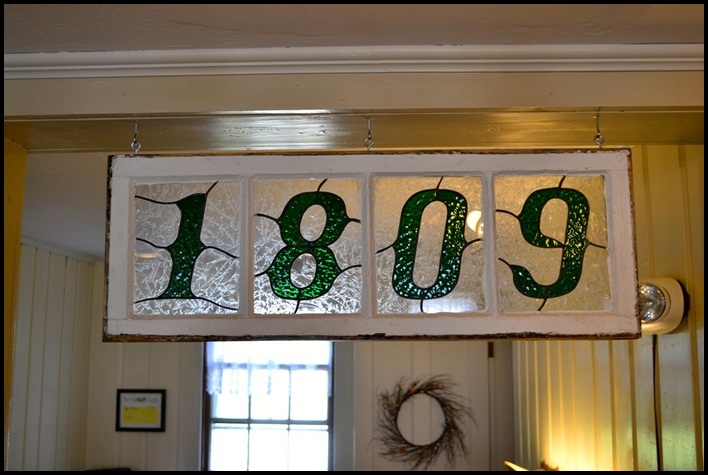 The landmark New England Inn & Lodge has been in the hospitality industry for over 200 years. 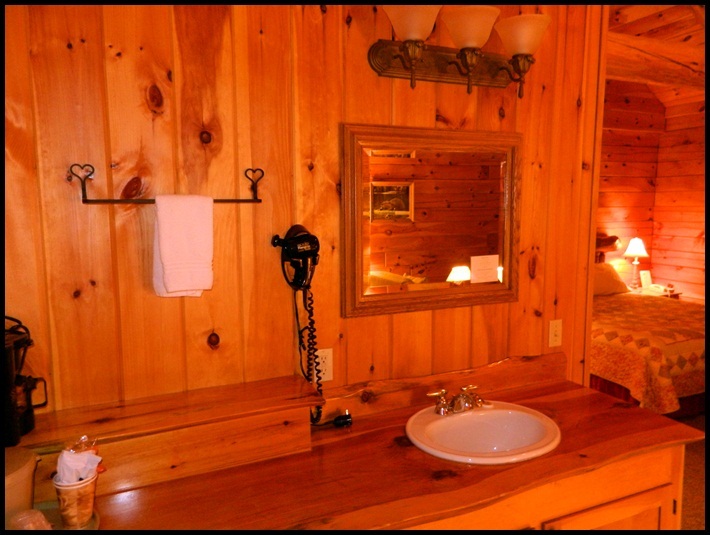 The inn is nestled among the pines in a quiet country setting a short 3 miles away from North Conway village. 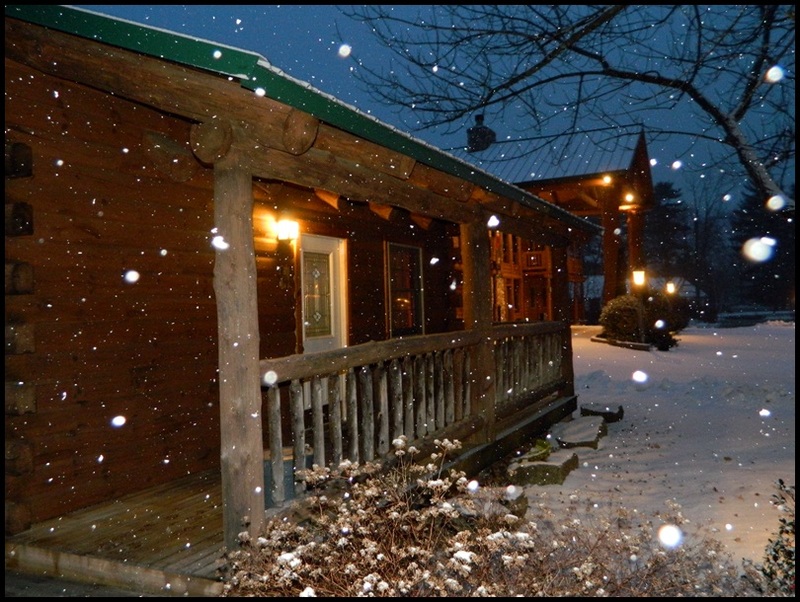 The resort is located on nine acres of land on the Intervale Resort Loop (Route 16A). 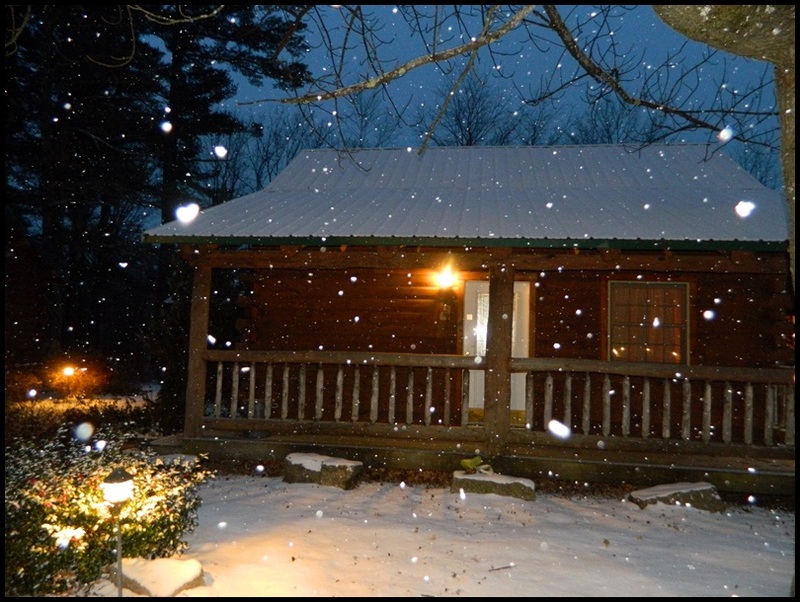 The inn offers various rooms, suites, cabins and cottages which are perfect for couples and families alike. 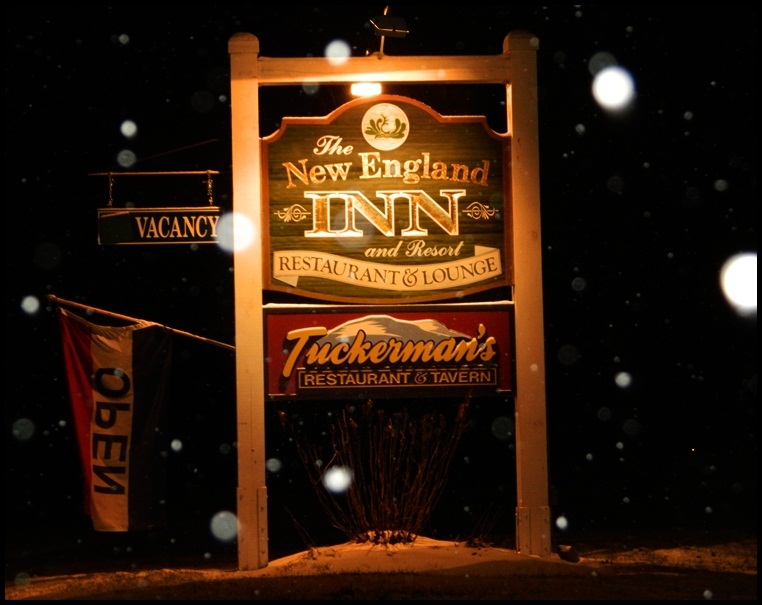 Another added bonus of the inn is Tuckerman’s Restaurant & Tavern, one of the best restaurants in the Mount Washington Valley. Want to go for an evening swim, no matter what the season? The White Mountain Aquatic Center maintains an indoor pool on site that are guests can use and enjoy. 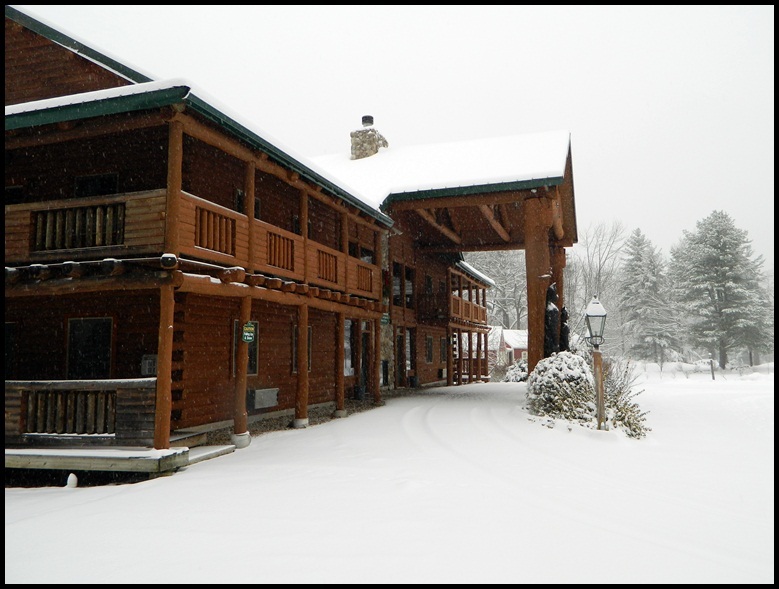 The New England Inn and Lodge property makes for a perfect place to hold family reunions small gatherings, modest sized functions and weddings. Jen and I were given the….wait for it……waaaaaaaaaaaaait for it…………. 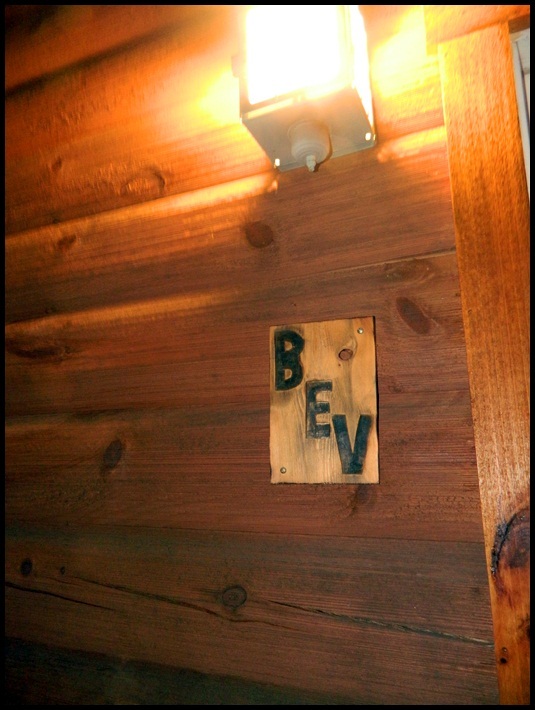 BEAVER DAM CABIN!!! Gary chuckled when he reveled the name and Jen and I pretty much high-fived each other. 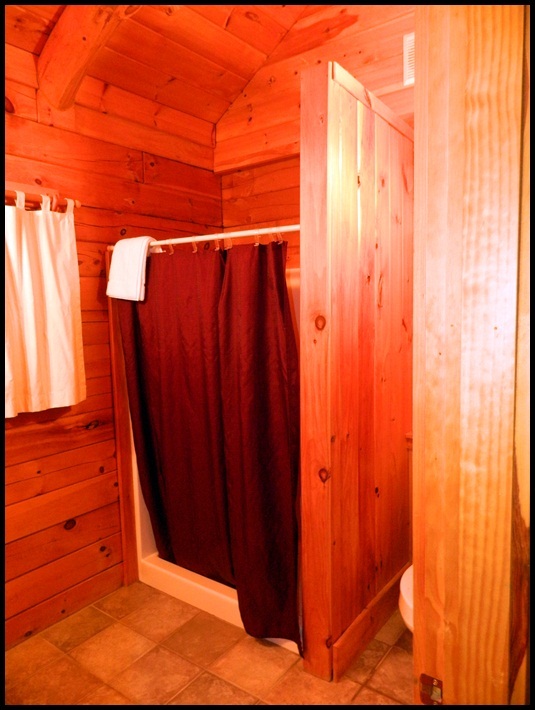 The luxurious cabin located across the street from the main inn is absolutely charming and everything one could hope for. 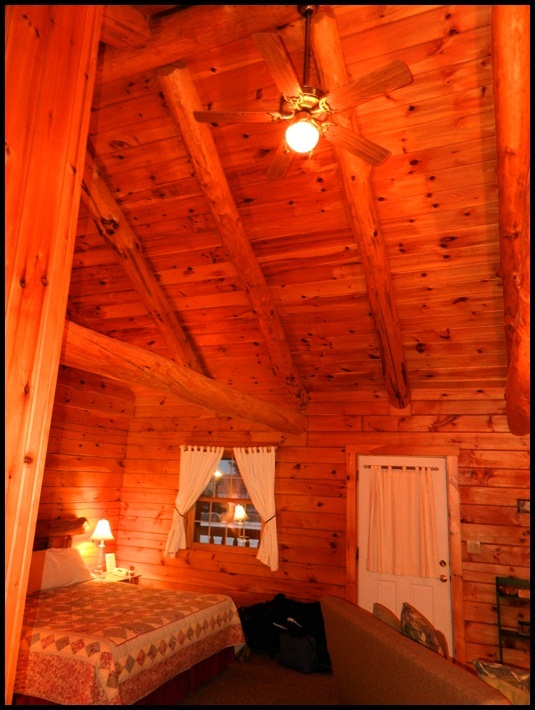 We loved the high ceiling, the stone (gas) fireplace, the views from our window, the private/secluded feeling, ample sized bathroom and comfy bed. 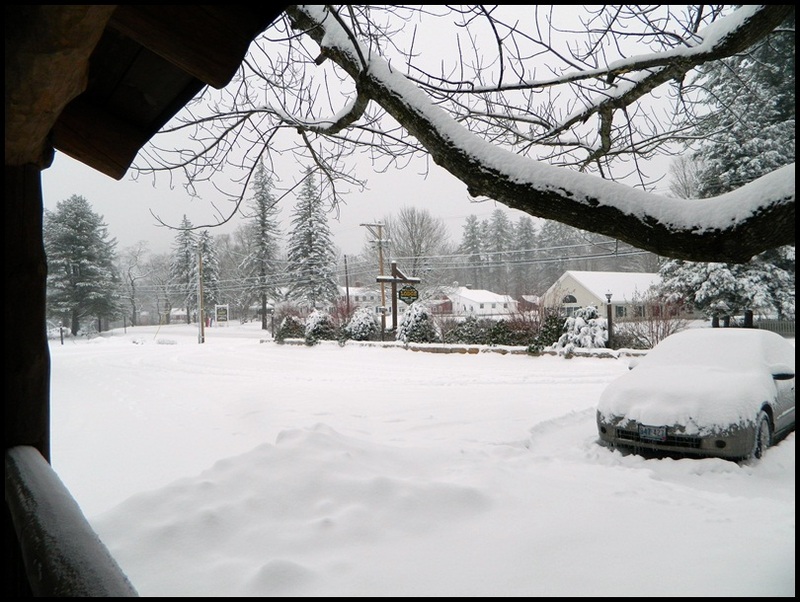 In keeping with the theme of our stay, FINDING CHRISTMAS, we couldn’t have gotten any luckier as we were greeted (and seen off with) blankets of fresh fallen snow! 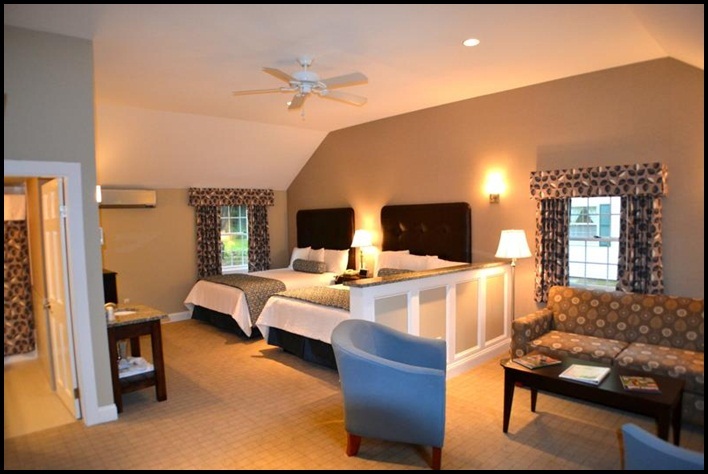 PACKAGES: The New England Inn & Lodge offers seasonal package. Click HERE for the latest deals. 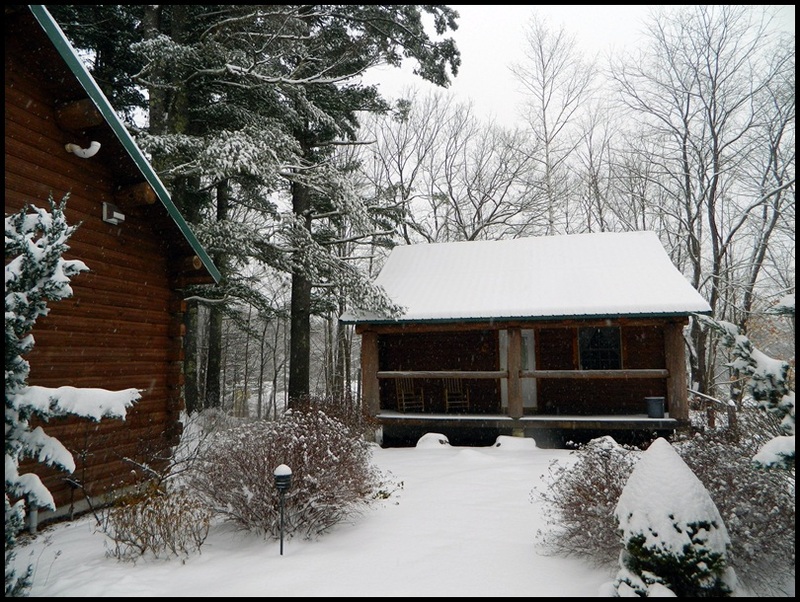 Currently they have a great Valentine’s Day package valid February 11-17, 2013 and Snowmobile packages valid throughout the winter. 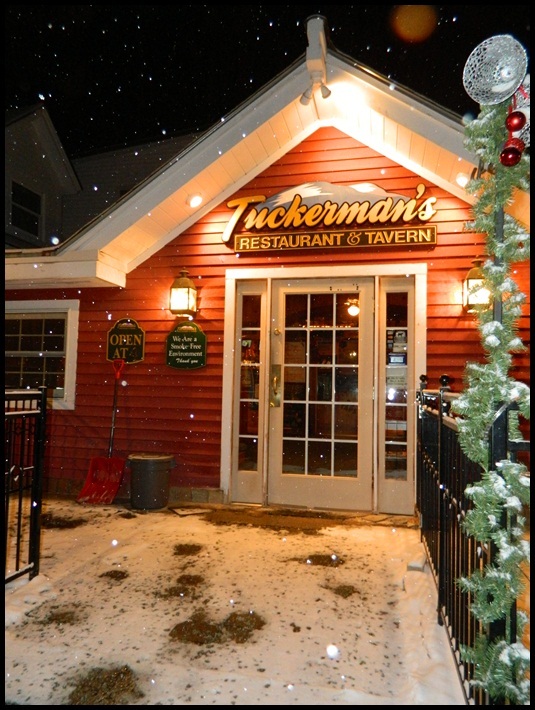 DINING: As mentioned earlier, one of the region’s best restaurants can be found at the inn – Tuckerman’s Tavern. Click HERE to visit their web site and to view menu. Jen and I ate dinner here and found the food to be very good and priced reasonable. 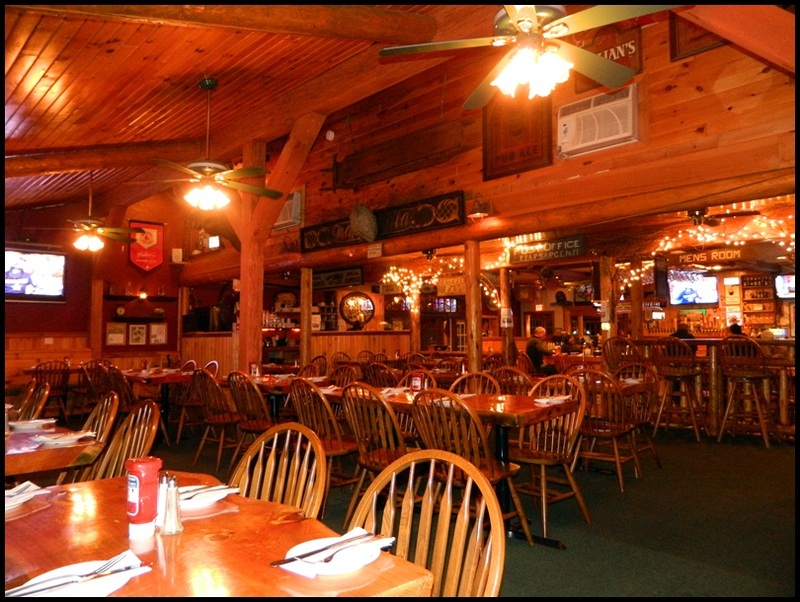 There is a nice selection of comfort foods to choose from and the vibe is pure laid-pack country. 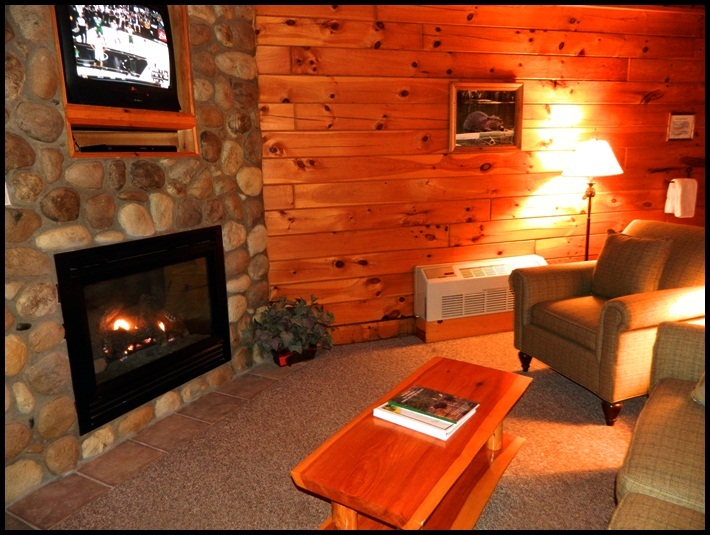 A great spot for apres’ ski, watching a game, hanging with friends or date night. 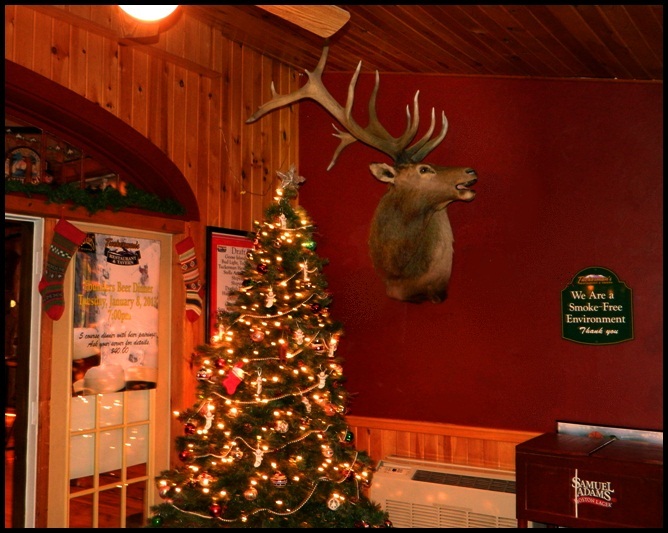 GAY & LESBIAN FACTOR: New England Inn & Lodge is one of the most gay friendly properties in the Mount Washington Valley. Gary was extremely welcoming to Gay Travel Information and took exceptional care of us. He explained how gay nightlife is pretty blended in as there aren’t any gay exclusive nightclubs. The area, as a whole, is very welcoming and laid back he explained. 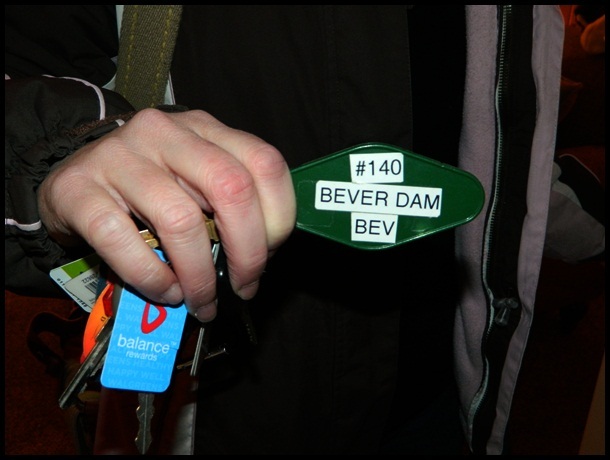 As a local he knows the “ins and outs” of where to go and will be more than happy to fill you in! 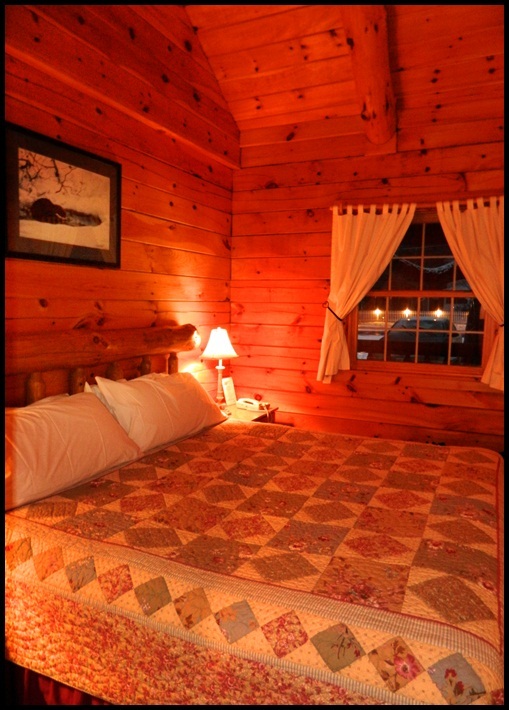 The inn is both exciting and romantic and would make the perfect getaway for a group of friends or romantic retreat. Gary is so personable and friendly he would probably offer you a personal tour of the area or meet up with you at a local pub! 😀 If we had more time we would’ve taken him up on the offer. Next time for sure! 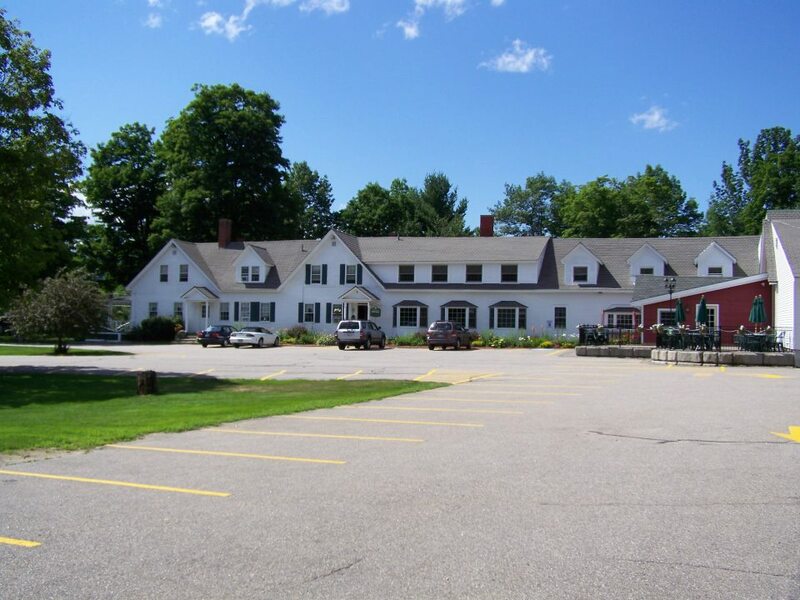 I am wholeheartedly “OUTING” New England Inn & Lodge as LGBT friendly and worthy of our business. There is so much to love about the Mount Washington Valley. The mountain itself and views are spectacular. It doesn’t matter which season you arrive, you will be blown away by the immense beauty of region. We just so happened to be covering the valley during the winter. I could think of no better place in New England to have winter fun! 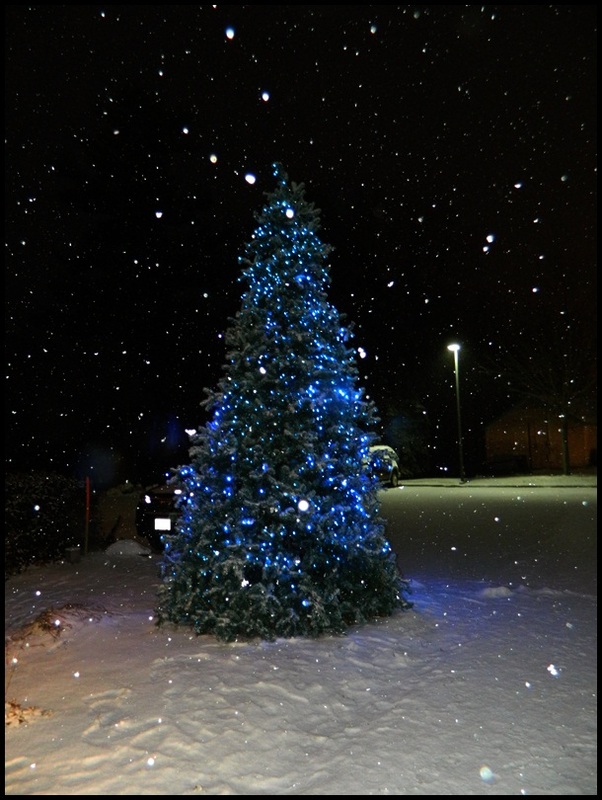 We set out to find Christmas, and boy did we! Between the charm of North Conway’s village and the warmth of New England Inn & Lodge – we left with a complete feeling of mission accomplished. ← Pan Am – Arrive in Style!